It's a known fact that Asians are more prone to hyperpigmentation, causing dark spots and uneven skin tone. 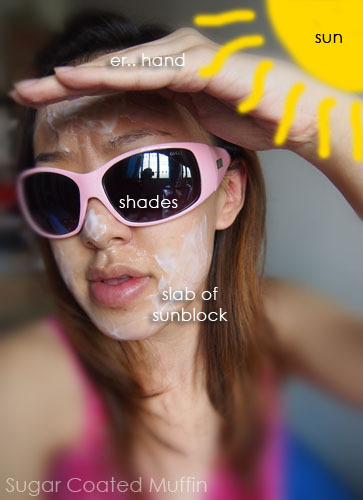 Clear & fair skin is seen as the ideal beauty in Asia so we girls slather on sunblock, avoid sunlight like it is the plague & get all emo when we tan. No sunblocks were harmed in this photo. It's a mask. Fortunately, some very nice people came up with solutions for this! There are tonnes of products that combat this problem but did you know that the ingredients in some of them are unsuitable to be used long term? These are the 2 most common ones. "Hydroquinone should only be used in up to three-month intervals to avoid unwanted side effects and topical retinoids should be used cautiously in the summer due to potential photosensitivity." That doesn't sound very good, does it? Plus some whitening products are drying or over exfoliate your skin making it dry and dull. 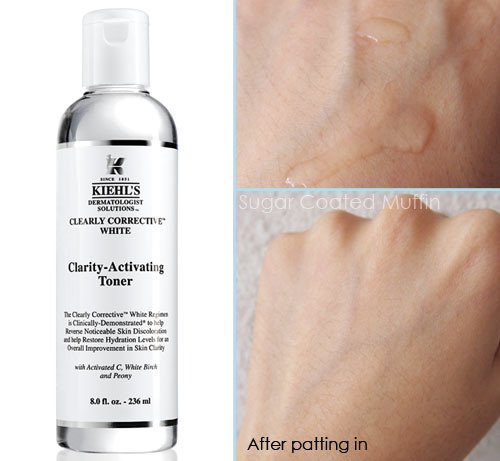 After much research, the Kiehl's team is proud to present their new Clearly Corrective White range which promotes youthful clarity and a brighter, luminous appearance while hydrating your skin! How awesome is that? You can read about the new range on their FB Page or new website. So what's the difference between Activated C and normal Vitamin C in other products? Regular Vitamin C is unstable and oxidizes easily. When applied on skin, it oxidizes and loses it's functions before it has a chance to act on our skin problems. Activated C has a very small molecular size and is highly stable. It is the latest-generation Vitamin C derivative with an outstanding "anti-cluster" technology, which is key to treating hyperpigmentation. Thus, it is very efficient, bringing you results faster. Together with these other ingredients, the range aims to make clarified, even skin a dream come true. o Together with Activated C this potent active supports and facilitates the appearance of discoloration correction. On to the products~ Thanks to Kiehl's for the generous samples! You may request for them too at any Kiehl's outlets. Purifying Foaming Cleanser (with White Birch, Peony Extract & Ceramides) to remove skin-surface impurities without stripping, for a noticeably brighter complexion. The first step towards bright & clear skin! This cleanser foams up easily into a creamy lather that cleanses well without drying my skin. In fact, it feels hydrated and soft! 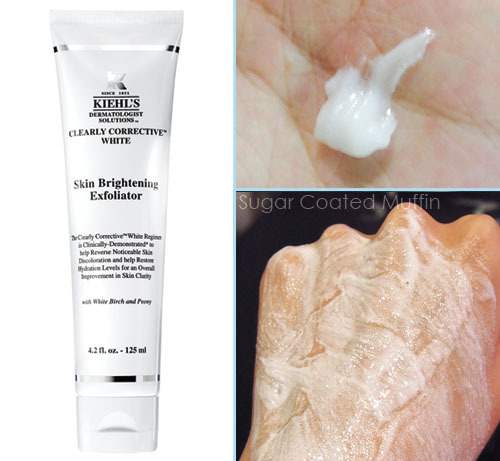 Skin Brightening Exfoliator (with White Birch, Peony Extract & Ceramides) to improve surface texture and illuminate skin, helping to minimize surface irregularities and dullness. Exfoliating is important to remove the top layer of dead skin to allow better absorption and remove dullness. However, over exfoliating can harm skin. This one here does its job but is still mild enough to be used every night. It's actually a 2-in-1 cleanser+exfoliator so you can alternate with the cleanser. Just like the cleanser, it lathers up easily and cushions the beads so it's less harsh on skin. Skin is left soft, smooth and brightened. Clarity-Activating Toner (with Activated C, White Birch & Peony Extract) which gently retexturizes as it infuses skin with hydrating actives for noticeably cleaner and softer skin and an overall luminous, clarified complexion. 2-3 drops of this is sufficient for the whole face. 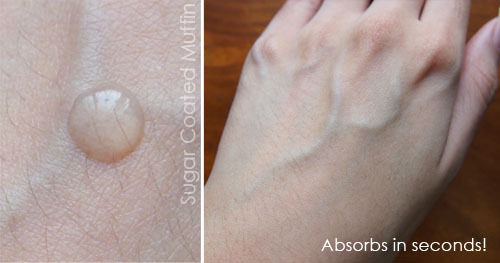 You can either use a cotton pad (mild exfoliation + wipes away dirt) or apply this using your hands. The watery liquid absorbs fast but I find that it is a bit tacky for a while. My skin feels so plumped up and 'doing-doing' after slurping this. Dark Spot Solution (with Activated C, White Birch & Peony Extract) to visibly diminish the number and intensity of discolorations while deterring the formation of spots on the skin’s surface. 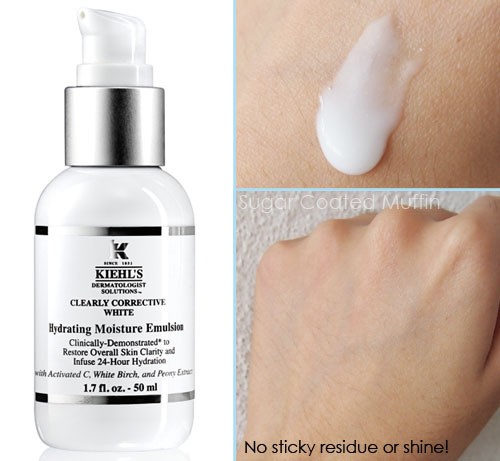 Hydrating Moisture Emulsion (with Activated C, White Birch, Peony Extract & Ceramides) to intensively correct visible uneven skin tone while continuing to deter the formation of new discolorations. Enhances skin barrier through all-day hydration, for a notable improvement in skin clarity. It's hard to find a moisturizer that suits me as I have dehydrated skin that oils up easily. This has a good balance.. It's moisturizing enough but not too heavy. I only need a small amount and it absorbs into my skin fast, leaving a powdery smooth finish. Skin remains hydrated all day long. Recommended to use twice daily unless you pair the Dark Spot Solution with MRC at night. Oh btw, everything smells of lavender! It's not as strong as their Midnight Recovery Concentrate but it's still very relaxing & soothing. After trying the whole range, my skin feels and looks great! It's definitely more hydrated now and my dark spots are slowly diminishing. I can see my complexion getting clearer and more radiant as the days pass. ** Samples were provided by the company for review purposes. However, this has not affected my thoughts on the product in any way. I love khiels <3 I think that it is the only product that I can really depend on when times get tough for skin haha And the price is reasonable for it's quality. When times get tough for skin. Hahaha! I've only tried samples in the past bt so far, I like it. Any recommendations? i wanna try this line! i super love kiehl's skincare products. <3 thanks for this post. Whao! Maybe I should check them out, they should good! Yes, you should go to japan, since its very near! :) I just found your blog anyway, awesome blog, im following!